Ponderings on life, the universe and scooters from WA's only specialised scooter only emporium. Well its been another hell of a year. Q1 started very nicely, and at the end of the quarter we were either no2 or no3 top selling Vespa/Piaggio dealer in Australia. Sales were not on the same level as 2008, but certainly better than 2009, so things were looking good and then...well, Perth had a once in a lifetime hail storm, and those 20 minutes have probably hit the WA retail economy harder than anything else in years. Car and house damage was widespread, and what with people replacing vehicles and spending money on insurance excess fees, all the spare cash in the WA economy just got sucked up. Add in an interest rates rise, a brouhaha over Mining Taxes, and now an election looming, and its been one of the worst three months in years. And WA is supposed to be the state with the booming economy! Well perhaps, but not quite yet. But enough whining - the market will pick up, and when it does it will do so very quickly. And that will start to force petrol prices up too. And then its a big jump in scooter sales again! And about time. So, which scooters have been performing over the first half of the year? Well the outright champion has been the Piaggio Fly. The FCAI top 10 figures for the first 6 months are a bit distorted because they only show the sales of the Fly 125 (which despite being unavailable since early April is by itself the 5th top). 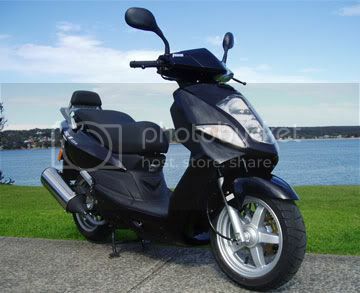 But add the sales of the Fly 125 and 150 together, and the Fly is currently the top selling scooter in Australia in 2010. Any surprise? Not to us. Its a great machine at a remarkable price, and with the extra torque of the 150cc engine its got even better. A star performer! In the 250cc class, the Vespa GTS 250ie still reigns supreme. And until we get LAMS in WA I suspect that will remain. And then it will be overtaken by the GTS 300 Super! We can't wait to get the two limited run big Vespa's in. Not long now!!!! The big surprise package of 2010 so far is the Derbi Boulevard 50. Its the Fly body with the Zip engine, with a bit of Spanish spice added on, and its been a great little mover for us since we got it into stock and a demo model set up. It is a full sized 50cc with impeccable handling, and we are selling a good number of them even though they are about $750 more than the Zip! The main change in the Ace Scooters world has been the introduction of the new website. Its still an awful long way from being complete yet, but we are really pleased with its look/feel. A bit of work is still required to make the flow better, but its a work in progress. We need to get a lot of the customer reviews posted, and if anyone wants to provide one, or a testimonial, we'd be delighted to get them up there! Our best sales people have always been our customers, and we value their input. Anyway, I'm going to keep this update brief as I've got to do some prep for my University teaching which starts again on Monday, so its back to the textbooks! Ciao! Well finally the decent weather seems to have arrived, and everyone is out riding again. The guys at Piaggio Australia are helping out too with some great offers on their range, particularly the Vespa GTS 250ie (possibly our favourite scooter in the range) whereby you can now save $700 against RRP! The first $500 is from the summer of Vespa campaign, but you can download a voucher for another $200 if you go to the Piaggio Australia website, print one out, and bring it in! Use it for further savings on the scooter, or use it to buy gear! The choice is yours! The other great news is that the new LX 150ie is going to be available in Taormina (that's the bright tangerine orange colour that you either love, or you adore). To date this colour has only been available on the S 50 and S 125, but since we don't have an S 150, the guys at Piaggio Australia thought it only fair that the colour was available on something with a 150cc engine, so the LX 150ie got the gig. Availability is going to be limited to begin with, so if you are interested it may be worthwhile getting a deposit down and your order in. Hopefully they will be here for Christmas. Interesting news from over east where Brendon and the team at Scooter HQ sold a Daelim S 125 to superbike champion Troy Bayliss. We are not in the least bit surprised - the S1 is one of the silent achievers of the scooter world. It doesn't have to get up and bang on about how good it is, it just continues to satisfy its owners. We've been investigating some aftermarket performance parts recently, particularly for the Piaggio/Vespa range. There is finally an Australian importer for Leo Vince pipes, and we look forward to getting them on some of the scooters, but we've also received and fitted some goodies from PM Tuning in the UK. We helped Josh fit the new pipe on his PX yesterday, and not only does it look spectacular, it sounds awesome, and the performance upgrade is not to be sniffed at. Looking forward to hearing more from Josh over the coming weeks about how the scooter is doing. We have also just fitted a PM Tuning pipe and Fuel Injector on a GTS Super. The pipe improves the flow, the additional injector boosts the fuel into the engine, and the result is.... awesome! The timbre is louder and throatier, the chrome pipe looks brilliant against the black panels, and the acceleration is scary! Hubba hubba! The closing date for the Mullaloo Surf Lifesaving Club membership raffle closed on Sunday. For the last four years we've provided the club with a 50cc scooter for the top prize and this year its a Zip 50 2T. Now I'm wondering whether we can beat last years coincidence of the year when all three of the previous winners booked their scooters in for servicing on exactly the same day! And if you haven't got a ticket yet, tough luck! But there is always next year. Finally we are trying to nail down the final details for the first Perth Piaggio Picnic which is scheduled for the last Sunday in November from mid-morning. As soon as we know the details they will be posted, sent, emailed, forumed so as many riders get to hear about it as possible. We hope that its the first of many and will be a celebration of Piaggio, Vespa and Gilera scooters (though I suspect that if other scooters turn up as well, they won't be turned away). I can't believe that its already a quarter to November! It doesn't seem so long ago that I was writing my mid-year round up, and its nearly year end and I haven't got to the bigguns yet! Well, that will now have to wait till the year-end round up I think. So what's new at Ace? Well, sunshine. Its been a long time coming, but finally a few days of bright sunshine in a row and the public are starting to come out and consider getting a scooter again. What we are most impressed with though, is the number who are looking to buy something larger than a 50cc. Now, its not that there is anything wrong with a 50cc, but many people seem to have been given the impression that a 50cc will get them just about anywhere. Unfortunately thats probably more to do with those in the industry who are more interested in getting the sale, than getting the customer, but there you have it. What I've been most gratified to see is the number of people who are working out what meets their needs, and if its bigger than 50cc, then getting their license sorted out so that they can ride them! Another very interesting thing that is happening is the increasing number of motorbike riders who are passing by and trying out the goods. The big Vespa's never fail to surprise them - they just can't believe that a scooter can perform and handle like these do. I had a chap yesterday who swore that the handling was as sure as on his Triumph, and hopefully he'll be bringing his missus up at the weekend so that they can do some more test riding. Given that most scooter riders are relatively inexperienced as riders (from a time on the saddle perspective) its always great when bike riders who have been on two wheels since they were knee height to a grasshopper extolling the virtues of our favourite means of transport. Not much excitement in the way of new models recently, although the facelift on the Daelim S Five is much welcomed. These are a great little sports 50cc. Very sure footed and with great build quality. For those who don't consider 3+k too much for a 50cc, then the S Five may very well tickle their fancy! So without any new models to bang on about, we've been thinking about how to get a little bit more excitement into the sales process, and are seriously considering having a few Dutch Auctions to whet peoples appetites. Unlike a normal option like you see on eBay, a Dutch auction is almost the opposite. The price starts high, then drops down. Bid when you are happy with the price, and the first bid wins! Easy as, but a really interesting way to see who can hold their nerve. I've been to a market in France where they wholesale flowers by this mechanism, and the turnover is astonishing. I think we are going to try and run this on Facebook (as its got a great notification system), and see how it goes. So if you are interested, then the best thing to do is sign up as a Fan of Ace Scooters (see the home page of our website www.acescooters.com.au for a quick link), and watch for notifications. How often we do these (and how quick we drop the price in the auction) will depend on how many people like the "comment". So we'll give it a go and see how it flies. Just got delivery of the new Vespa LX 150 ie and a new Vespa S 125 ie. Both in white, and both for customers. All that remains is to get them pre-delivered and road tested. Thursday should be fun! Whilst the S 125 looks almost identical, there are a couple of nice extra touches on the LX. A lot more bling for starters. Will get some pictures pronto - and watch this space for first impressions. Today is the third and final day of the Perth Motorcycle and Scooter Show being held at the Perth Convention Centre. The economic downturn has meant that its a very different show to previous years, with none of the Japanese manufacturers, BMW, Harley or Ducati bringing their all-singing-all-dancing stands along. This year the the stands showing these products were all set up by local dealers - a bit short of their normal glitz, but more than made up for in enthusiasm. A few manufacturers bucked the trend, and it showed. Triumph in particular were mobbed. I'm not a bike fan, but I must admit there is something about Triumph that really appeals to me. I guess its the same thing that attracts me to Vespa. Timeless classics externally, but now all about high technology. Its a great marriage, and you can see why Triumph has largely been unaffected by the downturn. Hyosung are also in attendance with their well priced product (and their new fuel injected models), and unsurprisingly KTM also had a stand, however given that they are Perth based it would have been a shocker had they not been here. On the scooter side, most brands were also mainly those shown by dealers. The two Scootamoto dealers had the Select and Kymco product, Zoot Perth were there with their scoots, as were Scooters and Buggies,and MCI showing Loncin product. Vmoto were in attendance, but like KTM, they are Perth based (and share the same distributor, so it would have been a surprise if they weren't. We were delighted to be on easily the biggest scooter stand at the show. Whilst not being the full bells and whistles stand that they have over east, it easily had the most presence, and has been attracting the usual amount of attention. Scooters are no longer the snigger, snigger product at what has traditionally been a very bike focussed event, and the Vespa marque in particular is getting the same level of respect that the more established bike brands are seeing. Its a great opportunity to catch up with some of the customers whom we don't see to often due to that 10,000km service interval... but an even better opportunity to showcase the product to a greater number of people than you get through the shop. Additionally Frank from The Scooter Shop (the one in Freo, not the one in Tas) was running a test ride facility at the show where visitors could take the Vespa and Piaggio scooters for a quick ride around the stunt arena, with the three-wheelers proving immensely popular. The only disappointment is that the new fuel injected Vespa 125s and 150 didn't make it over here in time for an official unveiling at the show. Today is the final day, so if you haven't had a chance to get down yet, try and attend. The MAD (Make A Difference) charity ride is taking place to day, ending at the Show, so if the weather holds up we expect to have record attendance at this years show. At the end of the day, the Motorcycle Division of the WA Motor Traders Association had its AGM, and I had the honour of being elected Chairman unopposed for the third year. I'd like to think its because no-one thought they'd be able to do a better job, but I suspect that its because no-one else wants to. However with so many issues regarding safety, and a full review of licensing in the pipeline, there are too many things that could negatively impact riders that sitting on the sidelines just isn't an option. So if you get a chance, get down to the show - hopefully I'll see you there! 2009 Mid Year round-up - winning products Part 3. Revenge of the Sith. Well not really Revenge of the Sith, although given that according to census figures a high proportion of the population are Jedi knights. But for many people, this is the episode that they've been waiting for - our review of the 250cc scooters! Why so? Well, there is no greater variety of scooter styles than in this class. And why is that? Because IMHO this is the optimal engine size for scooters. Big enough to do just about everything and do it well, but small enough to still be highly economical (in fact nearly our most economical scooters are in this class), flexible and fun. There are few machines smaller that are good freeway machines, there are few machines bigger which give you the versatility around town. Interestingly all the 250cc scooters that we sell (and we currently sell 7 different models) all have the same engine in them. The Quasar engine from Piaggio. Its the ubiquitous 250cc engine in European scooters and we love it. Smooth and powerful - just like me. Ok, not like me, but if I could be an engine this is the one that I'd be. Its clean, efficient, has a 10,000km service interval, and so far for us been problem free. Scooters with this engine aren't cheap, the least costly one new will still require at least $7,500 to ride it away, but you are getting such a technology jump from the majority of 125, 150 and even 200cc scooters you can understand why. This is the realm of liquid coolling and fuel injection, its as much about the electronics as the mechanicals. Its truly 21st century stuff. But its the variety of formats that can be built around this muscle that makes the 250cc class so interesting. We've got big wheelers like the Derbi Rambla which handle very similarly to a motorbike, compact maxi-cruisers like the Piaggio Xevo 250 that can swallow up two full face helmets under the seat, commuters like the Piaggio X7 which provides an optimal dynamic between freeway and urban, and retro classics like the Vespa GTV 250ie oozing leather and sophistication. All great scooters, and all as good as you'll get for the jobs they've been designed for. However I'm going to concentrate on just three. And whilst they would also be my choice, they are also the three that have been our top selling 250cc scooters this year. And of course that's what makes them winning products. Other than the engine they are all quite different, so I'm not saying that one is better than the other - but in their field they truly excel. The best of the best. Ok. Lets start with the biggest. The Piaggio MP3 250 - Scooter magazines scooter of the year 2008. And a very worthy winner too. I had a customer return from Paris recently, and he reckoned that 1 in every 5 scooters there was an MP3. That's simply amazing. But not surprising. For all the official desire to maintain their language and culture (or maybe because of it! ), the French know a good thing when they see it, and the MP3 with its tremendous road holding and braking capability is perfect for that environment which has an incredible variety of road surfaces and weather patterns. If you had to ride on wet, cobbled roads on a daily basis which scooter would you choose? Ok, so compared to Perth, those conditions are extreme, but you get the idea. If the French have done the homework in working out the scooter most likely to keep you upright in the face of adversity, no further research is required. Moreover there aren't many scooters that you can keep a fresh baguette (or even Turkish bread) under the seat in one piece, and that's another plus as far as I'm concerned! From a weight perspective, our next winner is diametrically opposite to the MP3. 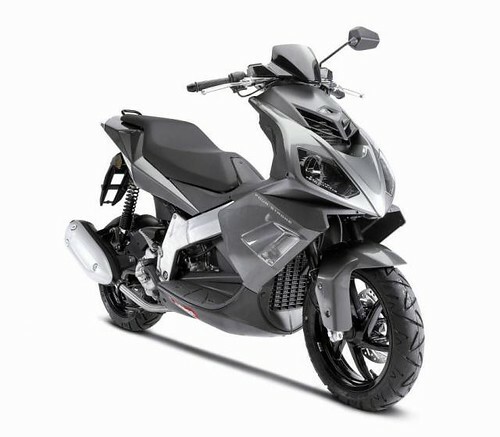 With its aluminium frame, the GP1 250 from Derbi is the epitome of the racing scooter. Sleek angular lines from this well known Spanish firm are characteristic of the racing pedigree of the company that manufactures them. But with the engine technology being all Piaggio (in fact Derbi is now part of the Piaggio group), you get the same measure of reliability. There are some clues to the racing heritage - the fast throttle and higher engine tune for starters. But all that is just blah, blah, blah. You need to ride it (or talk to owners) to get the idea! Its another of the few scooters that we sell that we just don't seem to be able to get enough of. Supply generally exceeds demand, so we like customers who are interested to let us know so we can tell them when shipments are in! 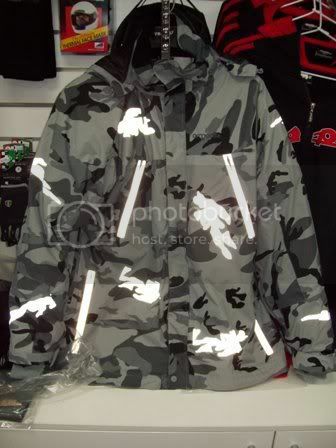 And last, but certainly not least, is our top selling 250. And understandably its the top selling 250cc scooter in Australia, and since its arrival I'm fairly sure that its held this position and I suspect will hold it for a number of years to come. It is, of course, the Vespa GTS 250ie. Vespa is synonymous with scooter, and the GTS is the latest, most identifiable incarnation of this iconic brand. Its also Australia's top selling model in the Vespa range - not bad for a scooter with a normal rideaway RRP of over $9,600. So why is it so popular? Well firstly its a Vespa - which means that it looks like what a scooter should. Its also very easy on the eye, popular with both males and females (I'd suggest our ownership ratio is about 50/50), built to last, easy to ride, with brilliant handling, sure braking and gutsy performance. There's nothing on it which suggests that a corner has been cut. Its a utlitarian vehicle in a luxury format. Understated, yet overstated. Think new Mini, not new Beetle. We love selling these scooters because we know that the owners won't just be happy, they'll be delighted. Its a scooter to fall in love with, and I suspect more of these have names than any other model of scooter out there. We have to be very careful letting prospects ride our demo if they don't think that they can afford one, because once ridden the magic spell is cast, and its hard to think about getting something else. As I've said many times, once you've drunk from the cup of Vespa, nothing else tastes quite as good. But I would say that, I'm an addict Most popular in Rosso Dragon (bright red) or Nero Lucido (gloss black), if you are a scooter rider and proud of it, you won't say it more strongly than by riding one of these beauts. 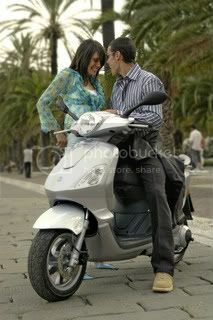 And with Piaggio Australia's winter deals currently on, you can pick one up from us for $8,860 rideaway. Excellent value, so don't delay. Well that's the 250s. No gear this week as I've blurbed on long enough, and the 250 machines need their own space. Ok, next week is our final installment in the series. After you've heard my rabbitings on the 250cc machines, you might think there's no point reading about the bigger ones. Well, that's where you are wrong. The final chapter in this series saves the best till last. Whilst generically my favourite scooter are the 250cc models, my very favourites comes up in the final episode. Till then - Ciao! 2009 Mid Year round-up - winning products Part 2. Ok. Part 1 of our product review raised a few interesting points on the concepts of value and price, and I suspect that today's post won't be too different. In the words of the Fast Show, today we will be mainly looking at 125cc scooters. 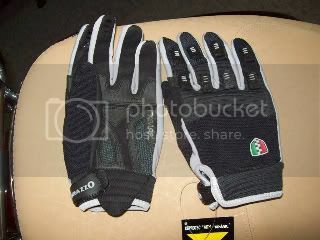 And gloves. Whilst the 125cc scooter is easily the most popular scooter size in those states without the enlightened 50cc rules, licensing in WA often results in customers moving straight up to a 250cc when they have their license. Interestingly we sell a lot of 125cc scooters to motorcyclists who are looking for a day-to-day local ride without all the inconvenience of a bike, and without the performance shortfalls of a 50cc. The 125cc is ideally sized for use on most roads up to and including 90kmh speedlimits, although we are now starting to see freeway capable 125cc machines hitting the market. So what's been selling at Ace? 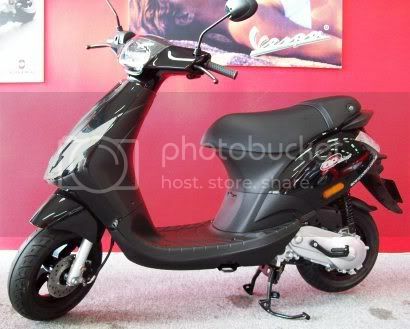 Well easily our best-selling 125cc pretty much since it arrived has been the Piaggio Fly 125. Built around Piaggio's ubiquitous Leader engine which also features in the Vepsa LX 125 and S 125, the Fly provides the same punch for about half the price. It's very well put together, and highly reliable, so it just goes on and on and on. And with a 6,000km interval between services the biggest problem is we don't get to see our Fly riding customers often enough. At the other end of the price scale, the Vespa 125cc's continue to sell well, particularly with the $300 saving being offered by Vespa Australia till the end of September. Whether its in the classic LX or the S, at $6,470 we expect strong sales to continue. The question is LX or S? Do you prefer the rounded features of the LX, or the squared off look of the S 125? Are you more a sixities or a seventies kind of person? But one thing is for sure, its definitely nice to have a choice! The more Vespa's the better I say! But technologically, one of our recent additions to the 125cc fleet has been getting a lot of attention. The S1 125 from South Korean company Daelim is for the rider whose done their research and knows that this is a scooter that punchese well above its weight. The fuel injected engine really gives these scooters a performance edge and lets you use them at freeway speeds without pushing the engine beyond its comfortable capabilities. It's physically quite a large scooter too, with a quality of finish that you'd expect from the European or Japanese built machines. Moreover they retail for a couple hundred dollars under $5k, so you get plenty of bang for your buck. We've also just got the Armadillo summer and winter gloves in which look really nice, however I suspect that the price tag might put a few people off. You can get two pairs of the Urbano's for the cost of one of the Armadillo's - so they had better prove to be good. We shall see. Next week we are going to look at the flagship models - the 250cc machines and helmets. And what a selection! Even better with the fact that the Vespa GTS 250 is currently on special, so you can pick one up from Ace at just $8,850 rideaway!!! What are you waiting for?? Till next week. Ciao! 2009 Mid Year round-up - winning products Part 1. Well, the year to date has been fairly tumultuous and the scooter market has been very tightly squeezed with overall sales in the first six months down 30% on the same period last year. What has been most interesting is that for the most part the brands suffering the least have been the best known ones, which reinforces the point that when times are tight, people put their money into what they know that they can rely on. So what better than to look at some of our key products that we think have bucked the trends over the last few months because they display those important characteristics - value for money and quality. 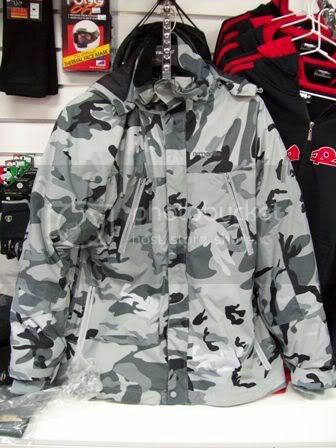 Today's post we will look at 50cc scooters and protective jackets. Since arriving in January, the Zip 50 2T has been our top selling scooter. Why? Because not only is the build quality is good as its four-stroke predecessor, but it features Piaggio's HiPer engine, which is the motor that powers the Vespa 50s - a very powerful and robust machine indeed. And the most wonderful thing is that the Zip 50 comes in at around half the price of a Vespa 50 - so the same bang for half the buck. Brilliant! In terms of sales, the two most popular colours have been the black and the white. The adjustable seat height is also a nice feature, and means that it can be ridden comfortably by taller riders - a feature that many budget 50cc scooters simply cannot match. We are making every effort to keep these priced under $2500 rideaway with 12 months rego. 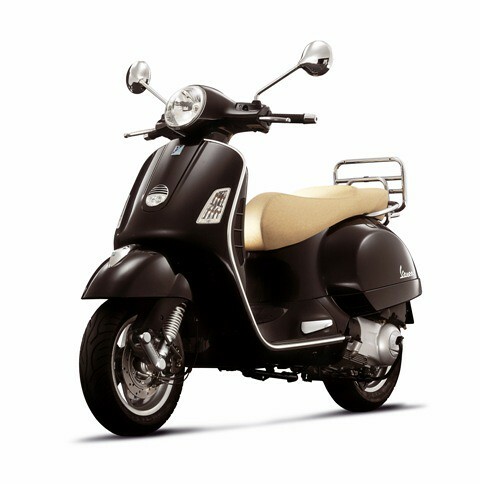 The other 50 that is enjoying a lot of attention has been the Vespa S50. Reminiscent of the Vespa's of the 70s, the squared off features and colours are very redolent of that era. The most recent colour addition even more so! There is probably no colour that was as over-exposed in that decade as tangerine orange, and on the S50 we think it looks really trick. Typically nice touches are the orange stitching on the seat. The S50 like all other Vespa's has a steel monocoque chassis which gives tons of rigidity, but a nice bit of weight too - particularly useful in Perth's windy conditions. Its a full size scooter too, so taller riders won't feel in any way cramped. Moreover its reassuringly expensive at $4,970 rideaway. One of the most common comments that we hear from scooter riders regards the lack of protective clothing that doesn't make you look like a street racer. So last year we were extremely pleased to start stocking Corazzo scooterware from the US, and this year we've been even more pleased with the arrival of Armadillo gear from the UK. The great thing about these brands is that they haven't compromised on safety, but not on style either. Next week - 125cc scooters and gloves! In a pathetic and futile attempt to steal some of The Scooter Shop, Launceston's thunder over an amusing and clever blog post announcing their internal award of the worlds best scooter shop, the management at Ace Scooters have voted by the narrowest of margins to determine the winner of the inaugural best scooter emporium in the known universe. It was perhaps no surprise, and entirely inkeeping with the way such self-approved awards are apparently determined, that the unanimous winner was Ace Scooters in Joondalup. "It was a very difficult decision, but at the end of the day Cam, we sell Vespa and you don't", summarised dealer principal Steve Laing, "plus we've got better weather over here in WA, and footy teams in the AFL (albeit in the lower reaches at present, but at least the Eagles are above the Dockers", he muttered under his breath). One of the most contentious criteria was locally produced beer. Tasmania often scores highly in this category, but were pipped by the wonderful brews from Little Creatures, particularly the Pale Ale and Rogers. "All the girls here like a good Rogering, so winning in this area was no surprise". The dealer principal in an evening dress was won by Cam Saunders, and a surprise winner in the bikini criterion was Brendon from Scooter HQ, in a Wicked Weasel micro provided from Tania Murray-Brady's extensive collection. When collecting his award, dealer principal Steve@ace was asked if he had a message of consolation for the other contenders. "Neh neh ne neh neh!" was his considered response. Just need to get Dozer to get the flash ad sorted, and we'll be laughing! New Zip on the block - and its great! For us in WA, the arrival of the new 2-stroke Zip 50 was a highly anticipated event. Due to our licensing laws, 50cc scooters remain the most popular engine size for new entrants in this market, and cost effectiveness is an important factor in that equation. We've long been a big fan of the 4-stroke Zip 50. Its beautifully put together, extremely reliable, and quietly gets on with getting people from A to B with the minimum of fuss. However, there are people whose journeys require something with a bit more oomph, a bit more zip if you will - and for that you need the power of a 2-stroke. But in the case of the Zip, not just any old 2-stroke engine. No sir. 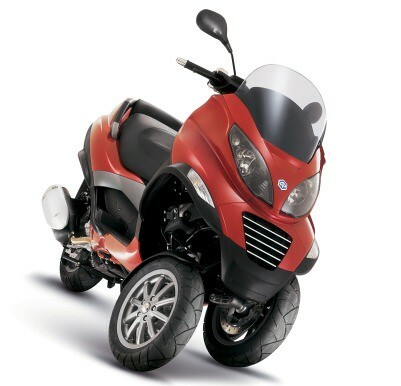 The Zip uses the same Piaggio HiPer engine that is used in the ever popular Vespa LX 50 and now the S 50. Its a great little powerpack, requiring servicing only every 5,000km, and it seems to just ping up every time you go for the starter button. And not surprisingly plenty punchy too! 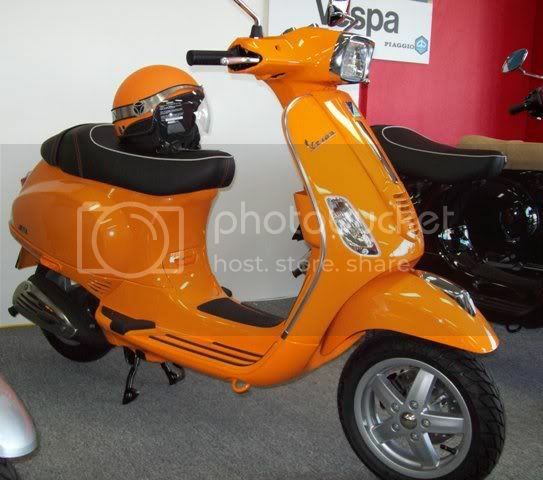 Moreover, the rideaway price is about half that of a Vespa! So if you want Vespa power, and build quality, and 2 year warranty, but want to get it as cost effectively as possible, then you need to try out one of these little beasts. They've been this weeks hot runner, and I suspect that this will continue trend through the year. With these in the stable, I reckon we'll be looking at getting even further up the Australian Piaggio/Vespa top 5 dealers list in 2009! As people will now realise, my posts are like buses. Nothing for ages, then 2 come within minutes of each other. But like my blog posts, sales of Vespa PX 200s happen in exactly the same way. Why? I have no idea, but they do, and this week has been no exception. Last Saturday one of the smart customers who put his deposit down a couple of months ago to reserve his steed came in to pick his scooter up, and that must have been the trigger to open the floodgates. Of our five remaining unreserved PX's, 2 went on Wednesday and 2 went on Saturday. Just like that. So now we are down to just one black PX200 left. The last one. The very last one. So if you want to have a little bit of history, then I wouldn't hang around. Like many businesses, we try and support a number of charities and organisations in various ways, but my favourite is our local surf lifesaving club at Mullaloo. Partly because they were the Australian Surf Club of the year in 2005/2006, but also because we are members and its what I do with the girls on Sunday mornings. Over the last three years we've supported the club by providing a scooter as the top prize in the yearly membership raffle. So what's the coincidence? Well, on Wednesday the blue and yellow Milan won in 2006 was dropped of for a service to be done for Friday, and the 2008 winner's red Zip 50 came in for its first service on Thursday. Well bugger me sideways, because at 9:30 on Thursday we got a call from Peter asking if he could get a service done on our third musketeer, the 2007 winners red Hyosung Rally - and though the diary is full, we had to find a way to squeeze it in just so that we could have all three in the workshop all at the same time. I guess the planets that control surf club members must have been in some strange conjunction I guess, or maybe they were getting them done before the country carnival - who knows. Well as you may have picked up from my last post, we've picked up a couple of new brands over the last week or so, and I've FINALLY had a chance to take some test rides. And I'm delighted to let you know that expectations have been more than matched! We always knew that the Derbi GP1 was a good machine, but its a really, really good machine. Handles well and goes like a dart. Will be a very popular addition to the stable. And what about the Daelims? Well the SFive in vanilla format is a little bit lacking in punch, but the handling is excellent and the build quality obviously very good indeed. Now we just need to prepare one for, ahem, track use, and we can see what its all about. But the Daelim S 125! Well I don't know the last time that my expectations were so overfulfilled! This one really is a beaut. Its almost impossible to believe that its just a 125cc. Great acceleration and tighter than a gnat's chuff. Do we need another demo??? Yep, three worthy additions. Bring on the summer. Ok, so I've been remiss in my blog postings over the last few months (well, over a year actually), but I've been given a number of gentle reminders over the last few weeks so I thought I'd better get my finger out and put pen to paper (well keyboard to screen) again. So what's been going on at Ace recently? Well too much to mention, but I guess that the most up to date news is that we are finally completing what I expect will be our model line up. Over the course of 2008 we decided to move away from one brand, and had another unceremoniously and unexpectedly pulled from under us (for no better reason than the new local distributor preferred to supply stock to some of this other existing dealers). 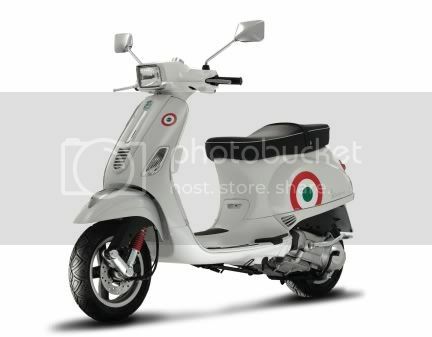 However the positive from all that is we have been able to better focus on our main full range suppliers from Piaggio/Vespa/Gilera, whilst filling in on some particular niche markets with some lesser known, but nontheless great quality scooter brands. So this month we've seen the reintroduction of Hyosung scooters - specifically the Rush - after a year interupted by the moving of their Korean warehouse. The 2009 models have had a bit of a facelift, but are still based on the excellent long-wheelbase chassis that fits both short and tall customers! Whilst there are plenty of cheap 50cc two-strokes on the market, high quality, dependable ones are a bit thinner on the ground, particularly with 12" wheels! So welcome back the Hyosung Rush. The next big arrival is Derbi. We've been in contact with the importer since his plan to bring them to Australia was but a twinkle in his eye back in 2004. As the date for their launch neared, we were able to facilitate some suitable introductions with the team at Scooter HQ in Queensland, and the rest as they say is history. When they launched in Australia earlier this year, we simply didn't have the room to add another brand, but times change, and we are delighted to be able to offer these exemplary sports scooters to our range. The GP1 250 has been one of the most talked about scooters of 2008, and when you ride one you'll understand why. So welcome to Derbi! And finally, we've just received our shipment of Daelim scooters. Another less well known Korean brand with a very loyal following, we've had this one on our radar for some time. Our industry friends and colleagues were able to facilitate introductions (thanks Brendon at Scooter HQ, and Frank at the Scooter Shop here in Freo), and our first load of S-Fives and S1 125s have just been unpacked. A 50cc with a sporty pedigree and a fuel injected 125cc - just what the doctor ordered. So thats the new Ace line up. Unique, comprehensive and only the best quality. Its going to be an exciting summer! London. The Swinging Sixties, Carnaby Street, The Kings Road. It used to be scooter heaven, and judging by what I've seen over the last few days, its becoming scooter heaven again. Despite an unseasonably wet summer (not much different to Perths winter!! ), there are scooters everywhere. One thing that London hasn't lost is its sense of style, and easily the most prevalent scooters on the road appear to be Vespa's. Actually, let me be more specific. The most prevalent scooters parked around the place are Vespa's (and a lot of these are the ET2s), the ones zooming around the streets (ie those favoured by the various couriers which are everywhere) appear to be a broad mix of Piaggio Zips, Flys and Honda Leads. There is certainly a greater number of big wheeled scoots in evidence than we see in Aus, which given the general condition of the roads and weather is perhaps unsurprising. Riding style seems distinctly aggressive at first - but on reflection I would be more accurate if I used the term assertive. If you need to get around in London, you have to ride with a definite sense of purpose as the less confident rider will never get anywhere. And woman riders are definitely as assertive as male riders. One thing that is great to see is the amount of parking for two-wheeled vehicles around the place. It certainly helps to encourage more people away from 4-wheels. And they still need all the help they can get, because travelling by car is still the disaster it always was. Hopefully the weather will improve in the next day or two - I have a hankering to test ride an MP3!!! Wish me luck!